In the small county of San Juan, and as impressive as the silver once mined there, lies the town of Silverton. Founded like many towns because of mining, Silverton has withstood the test of time. Prospectors found gold in the San Juan mountains in 1860, and were still mining it in the 1970's. Most of the gold mined in Colorado during the decade came from the Sunnyside Mine in Silverton. While mining beneath Lake Emma in 1978, the mine shaft collapsed and the water from the lake shot through the mine, coming out of a portal along Cement Creek with so much force, it blew over a 20 ton locomotive. No miners were present at the time. Silverton Mountain is the highest ski area in North America, with an elevation of 13,487 feet. Some of the runs include a 3,000 foot vertical drop. What a rush! 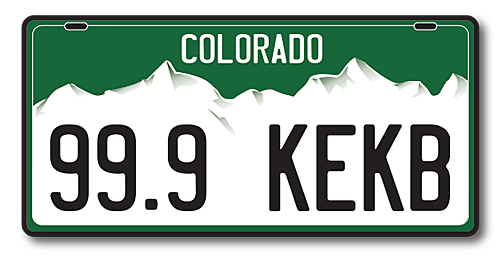 The town was founded on an ancient caldera, and is the 2nd highest town in elevation, in Colorado next to Telluride, at 9,318 feet. Highway 550, the "Million Dollar Highway" is one treacherous road. Start with no guard rails and go from there. The highway was nicknamed due to the cost overruns in getting it built. But those views, though. You have to try the Ice Lakes Trail. A 3 1/2 mile hike that goes from around 9,000 feet to 12,000 feet. Take all day and enjoy yourself! The 12 ton, 16 foot tall statue of Jesus sits 500 feet up Anvil mountain north of town.It was erected to remind people of the importance of mining in the area once upon a time. Some say miracles have occured. Writers and historical figures lived here. Robert Baer, a former CIA officer and writer, as well as Arthur Pink, a noted evangelical were residents, as well as a member of Teddy Roosevelt's Rough Riders, Anton Larsen. Harold Ross, the founding editor of The New Yorker magazine was also a resident. Silverton was the main setting in a book. The Christopher Killer is a novel by Alane Ferguson that was set in Silverton about an assistant coroner. Remembered in Song and Film.